Rome - The Perfect City Break! On February 13th me and my boyfriend headed to Rome for a city break, we were up bright and early and arrived in Rome around 12pm. When we arrived we checked into our hotel and quickly headed out to explore. We first headed down to the Piramide and then walked down the river towards the Colosseum and in true Italian style we stopped off for a pizza slice on the way! We were pleasantly surprised by how green Rome was, being used to other European cities resembling concrete jungles it was a very welcome surprise to see lots of parks and green areas. 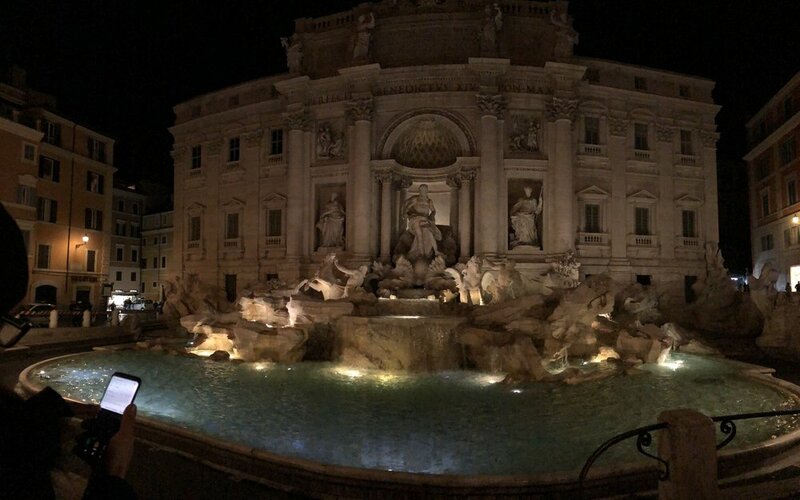 After exploring the Colosseum and walking down a number of winding streets back to the hotel we had an hours relaxing before heading down the Trevi Fountain area to find some dinner and take in some more of the sights. The Trevi Fountain was by far the most impressive part of the trip for me, it is truly beautiful and so pristine it looks like it was built yesterday! We did the classic coin throw and headed off for dinner. We couldn’t visit Rome without going to the Vatican city so the next day we headed over to St Peters Basilica to take a look around. After an hour long queue in the sunshine we made it inside and it was definitely worth the wait! It is such a stunning building and a must see if you’re visiting Rome! The best thing about Rome for me was the food! We knew it would be good but we weren’t quite prepared for how much we would eat! Every cobbled street is full of restaurants, bakeries and gelato shops and we made our way round a fair share. If you’re planning a city break soon I would recommend Rome 100%! 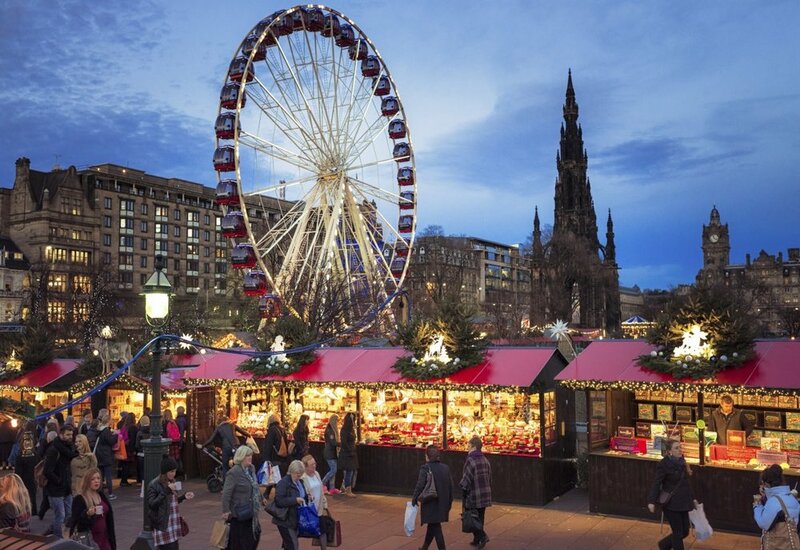 We found that it was more chilled than any other city that we had visited, you can spend all day getting lost around the winding streets without the need to jump on and off the underground and battle through the crowds. There is everything on offer from designer shops, old ruins, museums and more beautiful fountains and squares then you can count. We had a wonderful time eating, drinking and tripping over the cobbles! Shreddies Live On El Hormiguero! It’s been a crazy couple of weeks at Shreddies HQ! We’ve been getting press requests from all over the world, requesting information, samples or interviews. Most of the interviews we do are done over the phone or on the radio, but we received an unusual request two weeks ago from a Spanish television programme called El Hormiguero. They asked if it would be possible to appear live on their television programme to demonstrate Shreddies. We were delighted to be asked and quickly set about arranging the details of the trip. Soon enough I was heading to Madrid, to meet Patricia of El Hormiguero. After a brief tour of the studio I was told filming wouldn’t take place until the following day. 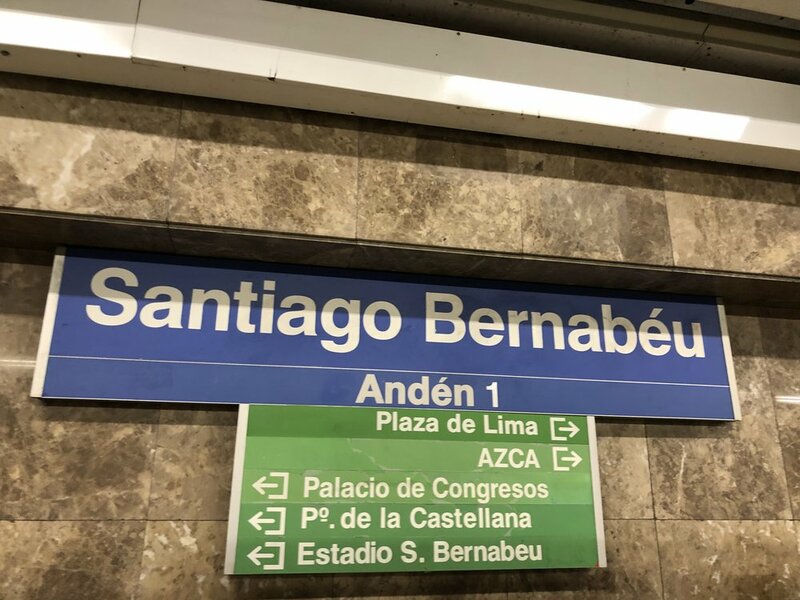 So I headed out on the metro to Santiago Bernabeu the home of the world famous Real Madrid. It had always been a dream of mine to visit the iconic stadium and I was lucky enough to go on a tour and it’s beyond magnificent. Steeped in history with some of the best football players in the world gracing the pitch over the past 115 years it didn’t disappoint. The following morning I decided to see another amazing football ground the Wanda Metropolitano - home of Atletico Madrid. A new stadium built on the site of the old olympic stadium in the East of the city it’s very easy to get to and equally as impressive. I’d definitely like to go back to Madrid and watch a game in both grounds if possible. Later that day it was back to the studio, I met the presenting team and was taken to my dressing room until I was needed for a rehearsal of the tests. After the rehearsal it was time for me to be mic’d up and go through things with the translator ahead of the final rehearsal. I had a few nerves at this point and was worried about tripping over or making a fool of myself. But fortunately none of this happened. Another short break and it was time to get ready for the live show. Our segment was at the end of the show so I had to stand in the wings watching the majority of the show. Then it was showtime, I was given a loud encouraging welcome by the live audience and presenters and with the aid of the lovely translator I was able to answer their questions and show how effective Shreddies are. They conducted two experiments, the first was proving how effective the garments are at eliminating odours. They had a large jar of crushed garlic cloves which was very smelly, once they covered the jar with the undershort the guests could not smell any garlic odour and could place their noses close to the jar without smelling any odours. The second experiment was more of a visual test to show how air passes through the underwear. Using a mannequin and tube they fed dry ice into the mannequin and passed it through some regular underwear. The air passed through the underwear without much resistance. When the Shreddies underwear was put onto the mannequin it stopped all of the dry ice passing through and contained it within the underwear. This weekend my wife and I attended the Cake & Bake Show in London. My wife is a keen baker and we went to the show to see what inspiration we could find. The show was enormous filled with every type of cake, chocolate, bread imaginable. One of the first things we did at the show was visit the cake walk, an impressive display of cakes made by some very talented people. Hard to believe this is entirely edible! The theme for the cakes was based on travel and they we’re mindbogglingly impressive both creative and intricately detailed. There were two cakes that impressed me more than the others the first being a globe on top of which sat a cake version of the author Jules Verne, famous for writing - Around The World In 80 Days. The detail on his face was beyond the capabilities of most bakers. The other cake that caught my attention was a monsterously tall sculpture of flowers from around the world, each one of them painstakingly hand carved and detailed beyond belief. The flowers alone must have taken this baker a crazy amount of hours to make then to careful attach each one. I don’t think I’d have the skill or patience to attempt something a quarter of the size of this cake. The show also featured celebrity guests and a large proportion of the show was based around allergies and intolerance to ingredients as well as vegetarian and vegan diets. We watched Rosemary Shrager make a vegan carrot cake on the main stage and she was both funny and interesting to watch. Rosemary Shrager - making her vegan carrot cake. However it was at one of the individual stands that I saw the most unique thing at the show Charcoal Cheese! I was very skeptical when I first saw it, with my intial thoughts being how can they make cheese with Carbon? This is what we make our underwear with!!! Carbon in cheese? Sounds a bit like a Peter Kay catchphrase doesn’t it! I tried a small piece and quickly went in for a second piece. It was unbelievably creamy and delicious. So much so that I ended up buying some for home. If you’re brave enough to give it a try you can find it here from the clever people at Black’s Cheeses. Most of the cheese went last night at supper but I’ll certainly be re-stocking soon! What happens when you hold farts in? We have seen a lot of talk recently about how if you keep a fart in it will eventually come out of your mouth?! We have decided this needs researching further so here goes! Firstly, there are two processes that lead the body to produce flatulence. When food moves into the intestines the digestion causes a build up of gas that need to exit your body. Gas also occurs when we are chewing and eating food and gas is swallowed. Some foods like dairy products, beans, whole grains are more likely to cause gas. When you hold in a fart the air doesn’t just disappear, it travels back into your body to find another way out. This consequently means often it comes out of the mouth. It’s not quite as gross as it sounds but still pretty weird! So if you are somebody who often holds in their flatulence we would recommend getting a pair of Shreddies and learning to fart with confidence!